Truth be told, I liked actor Damian Lewis much better in the series Homeland than in Billions. 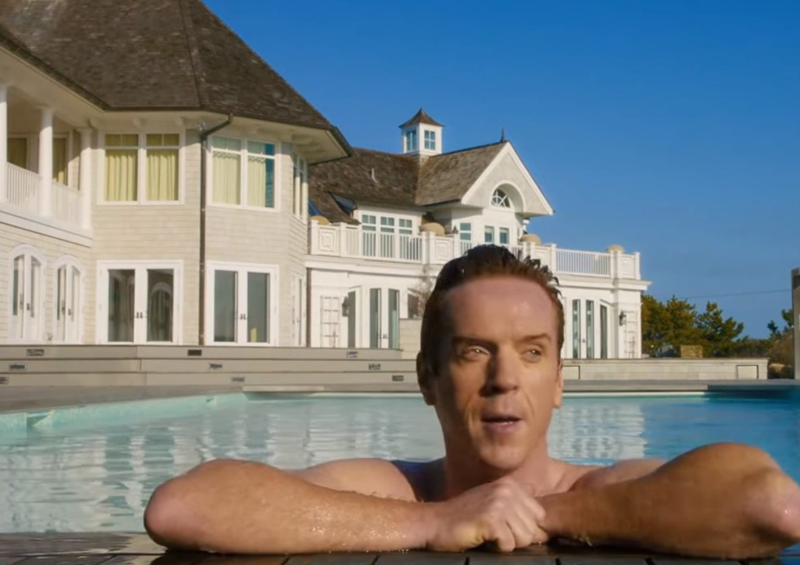 Although as a costume drama, Billions should win an Emmy. The Showtime series really nailed Wall Street wardrobes–fleeces for everyone. When I first started in the financial advisory business, there were several well-known, albeit abstract market indicators such as “The Tallest Building Signal” or the “Magazine Cover Indicator.” If you don’t remember those gauges, the Tallest Building Indicator referred to the phenomenon in which the country boasting the world’s tallest building at the time would inevitably see its economy collapse not long after construction was completed on that massive edifice. The Magazine Cover Index was based on the theory that a person or subject featured on the cover of a major business magazine would experience a reversal of fortune soon after publication—kind of like the Sports Illustrated cover jinx for athletes. For instance, if the top of a market–or a high flying money manager–graced the cover of a widely read business publication, then performance would soon start to go south. Or, once a major business publication signaled the end of market cycle, the opposite would happen. The most famous example of the Magazine Cover Index was Business Week’s “Death of Equities”, published on August 13, 1979, right before a multi-decade generational bull market ensued. In the 1990s, bombastic TV personality Jim Cramer and CNBC exploded the stock picker savant image before the 1999 bubble burst. It was similar to the deluge of house flipping shows that invaded cable TV in 2007 before the world economic order nearly imploded in 2008 due to risky financing of U.S. homes. That leads us to wonder if actors Damien Lewis and Paul Giammatti have just “top ticked” the hedge fund boom? Let’s rewind for a second. The hedge fund industry has grown from a niche sector for the ultra-wealthy to a nearly mainstream financial asset class today. Less than 500 funds with $250 million under management existed in the 1990s. 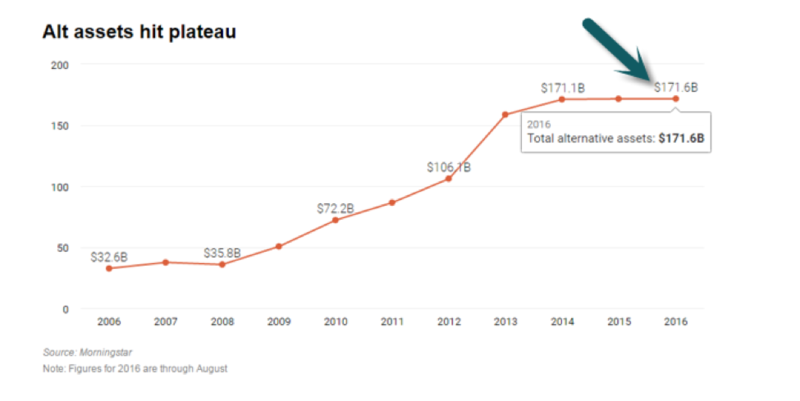 Today, there are roughly 12,000 hedge funds with over $3 trillion in AUM. Three out of four hedge funds (75%) are located in the U.S. God Bless America and all of our risk-taking glory. After the 2008 financial crisis, the world was primed for a “hedged” product and U.S. financial entrepreneurs gave the public everything it could handle. The problem is that if you dine with cannibals, sooner or later, you can be eaten. And right now, we have some financial vegetarians who are dining with cannibals. That’s not a good combination. Hedge Fund managers and traders do not come into the office at 6 am, fire up their Bloomberg terminals and try to underperform with your money. They are trying desperately to make you outsized returns, but there are just too damn many managers chasing the same ideas. 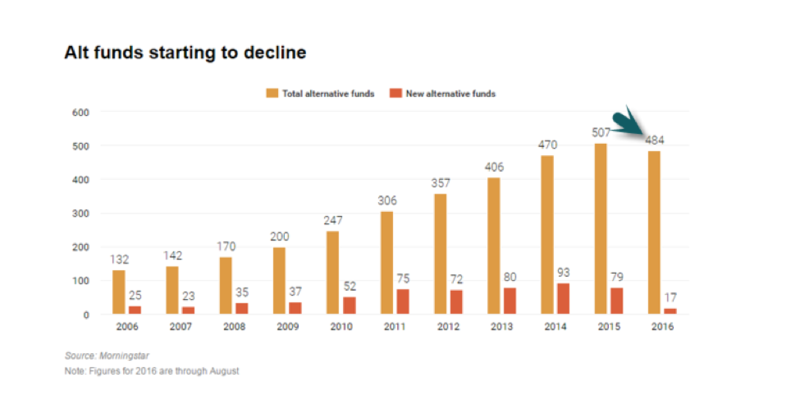 California’s, New York’s and Nevada’s state pension funds are just a few of the institutional accounts that have removed hedge funds from their asset allocations. In the last eight years, New York State’s pension fund paid $3.8 billion in fees to poorly performing hedge funds, according to a report published by the state’s financial regulator. According to the report, hedge funds were the worst performing of the six asset classes making up the state’s pension allocation—kind of ironic considering New York’s proximity to the hedge fund epicenter. It is true that pension funds are traditionally horrific market timers, but this latest trend feels more like a secular move than poor timing by institutional investors. Hedge funds were once reserved only for the super-rich. Now, thanks to liquid alternatives, the mass affluent can theoretically gain access to the same “Masters of the Universe” who run hedge funds. “Liquid alts” is an industry term for hedge funds that are offered through mutual funds or exchange traded funds (ETFs). They allow the average investor to access hedge funds through his or her retirement accounts. It seems Bobby Axelrod also managed to top tick the growth of liquid alternatives. Alternative Assets Go “Sideways” into launch of Showtime’s hit show “Billions” after a decade of exponential growth. The free markets have a messy way of delivering progress–it’s called “creative destruction” which leads to lost jobs, ruined companies and vanished industries. This is the paradox of progress, but 100 million people died trying out Communism, the closest competitor to creative destruction. The pain and gain of capitalism are inextricably linked. America has always been built on creative destruction. In 15 years, we have seen the rise and fall of tech bankers, mortgage brokers and natural gas drillers. 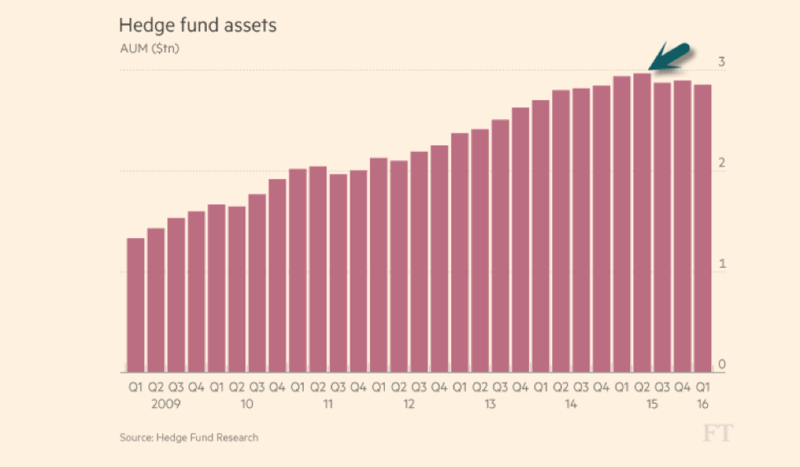 Some hedge funds will survive and thrive, while others will face the end. But, America will move forward either way.